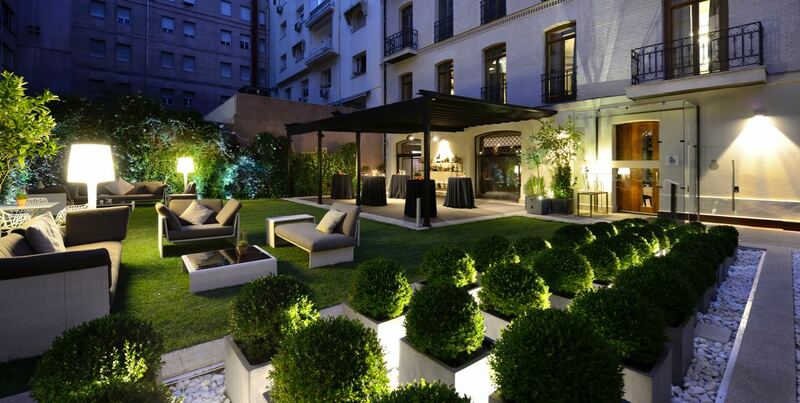 First up is Chef Jordi Cruz’ ABaC restaurant which is located inside the boutique ABaC hotel in Barcelona. 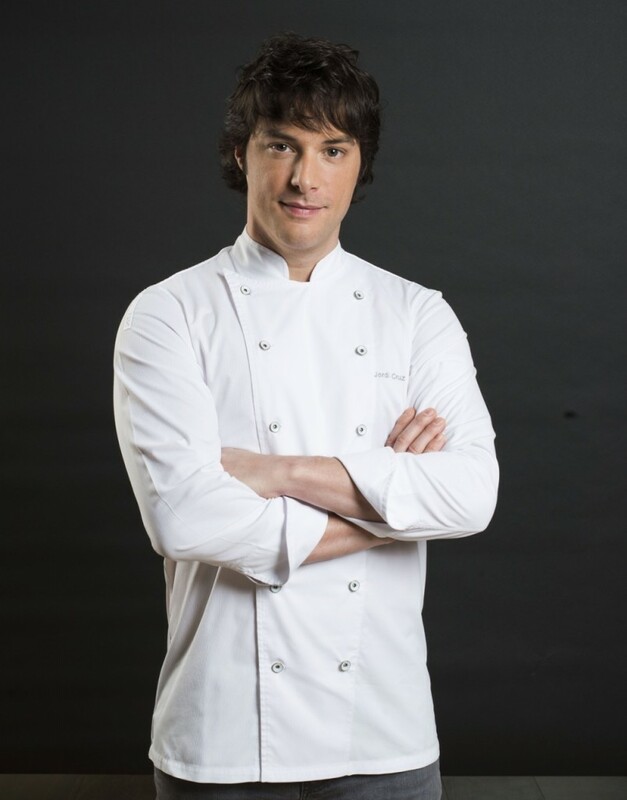 Chef Jordi, who is best known in Spain as one of the MasterChef TV judges, obtained his first Michelin star at the tender age of 24. 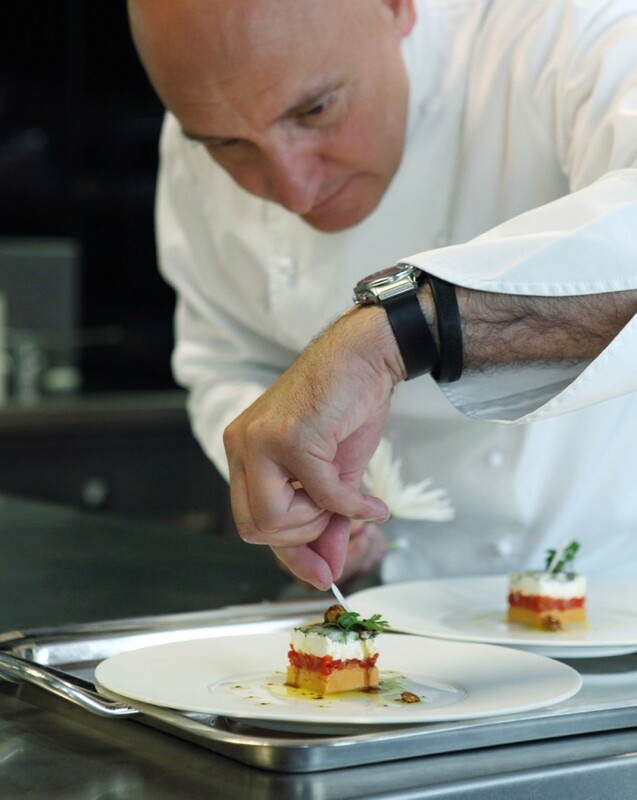 He is responsible for world-class kitchens all over Barcelona and his highest accolade came in November 2017 when he was awarded three Michelin stars for his restaurant at ABaC. The hotel opened in 2008 and Jordi came on board in 2010. The former private residence today consists of 15 rooms, the Spa, restaurant and gardens. AS you can see in the image above, there is ample outdoor dining and private dining is also available. NB There is no ‘a la carte’ dining at ABaC – just two tasting menus – the 15-course Tradition menu and 19-course Avant Garde menu and are priced at 155/185 EUR with an additional 85/105 for wine pairings per menu. Pedro Subijana opened the doors to his new luxury hotel in San Sebastian back in July 2017 but he been the steering force behind the restaurant of the same name since 1975. 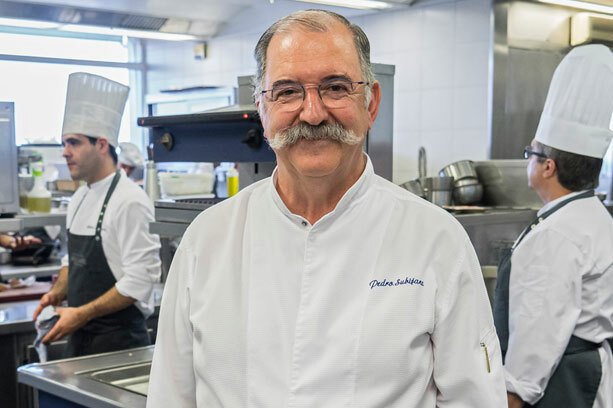 One of the key figures in the New Basque Cuisine Movement, Pedro earned his first Michelin star for Akelare in 1978, the second in 1982 and the third in 2007. 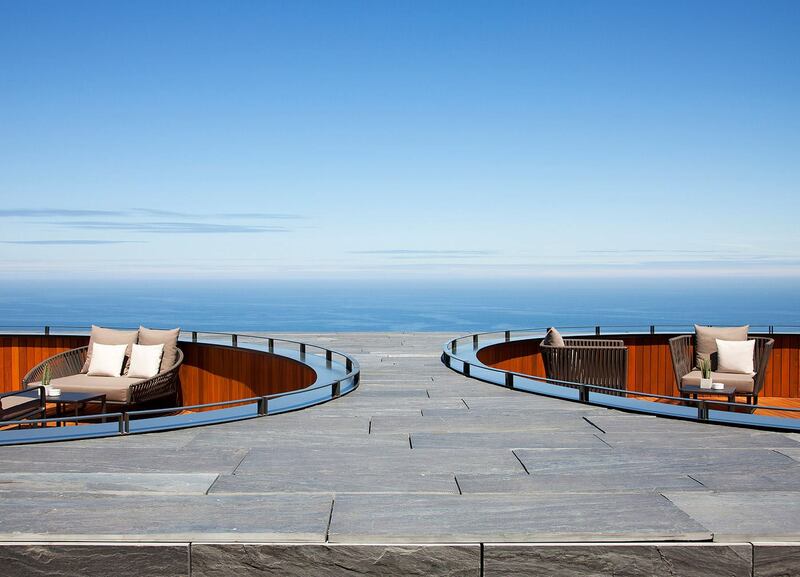 Pedro Subijana’s brand-new hotel at Monte Igueldo (overlooking the Bay of Biscay) is part of the Relais & Châteaux network, and each of the 22 rooms has amazing sea-views. You can review the Akelare three separate 8-dish tasting menus and a la carte offerings here. Each tasting menu is priced at 195 EUR without drinks (and yes, you will want to taste some of the impressive 650 wines from Spain and abroad). In addition to Akelare, you can also dine at the new dining space Oteiza, which offers a Basque menu designed by Subijana (in addition to the ‘a la carte’ menu), in this more relaxed setting. If the Bay of Biscay seawater seems a bit chilly, you can take a dip in the hotel’s indoor swimming pool to work up that appetite for the next meal! The hotel has a wonderful wine cellar for special events. For a different opinion, see Annie Bennett’s review for the Telegraph newspaper. Chef Toño Pérez and hotel director José Antonio Polo first began working together at Toño’s fathers pastry shop in 1979. Seven years later, Toño & Jose opened the original Atrio, in 1986. 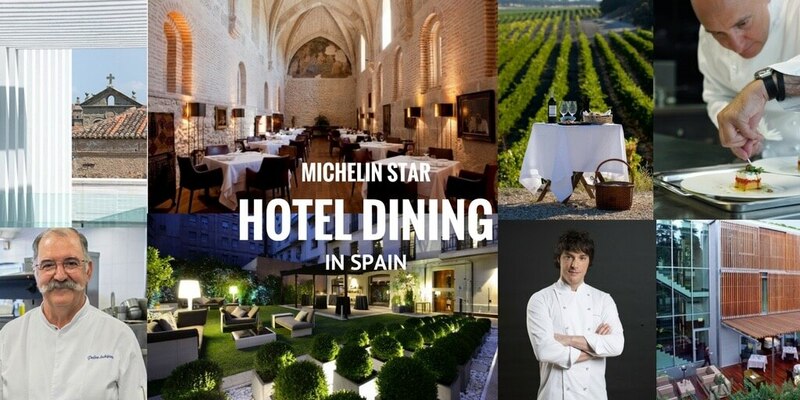 The first Michelin star was awarded in 1994 with the second star came along in 2004. Around the same time, the wine cellar was awarded ‘Grand Award’ status by the Wine Spectator and it continues to hold this accolade. In 2010, the restaurant moved to its new location in the old Medieval quarter by the cathedral. The new hotel of just 14 bedrooms, and that extraordinary wine cellar, is a feat of modern architecture (showing the utmost of sensitivity with its surroundings) and the architecture awards have been piling up alongside the gastronomic accolades ever since. Atrio restaurant offers two tasting menus for 155/165 EUR. Drinks are extra. 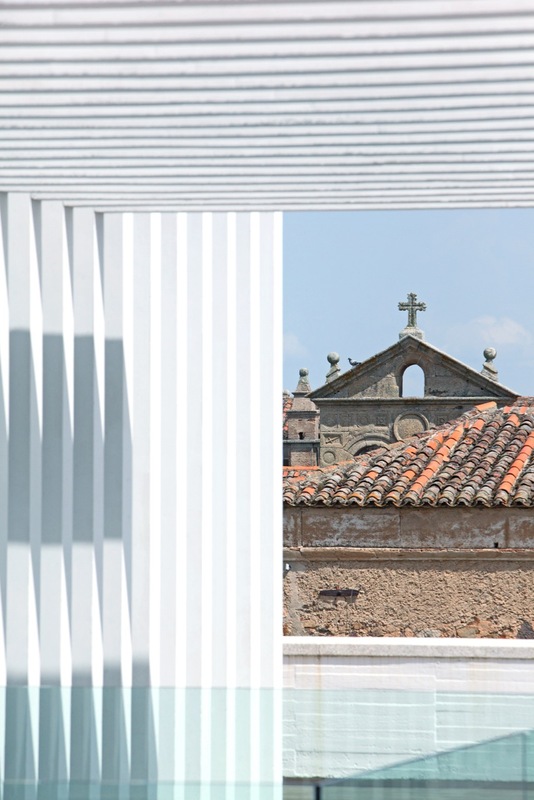 For another review, see what Paul Richardson wrote for the Guardian newspaper about Caceres and Atrio. Abadía Retuerta LeDomaine is a medieval abbey with significant grounds that dates from the 12th century. Its renaissance as a hotel began in 2012 and within two years it gained its Michelin star. 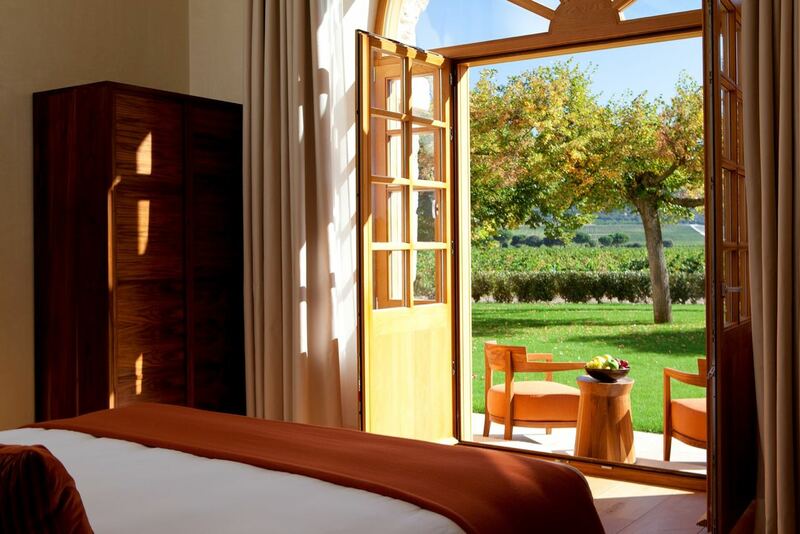 This rural location might suggest a weekend break but you’ve got the acclaimed Ribera del Duero wineries on your doorstep as well as the many castles and UNESCO-listed cities of Castile-Leon nearby so you can easily spend more than a few days here. 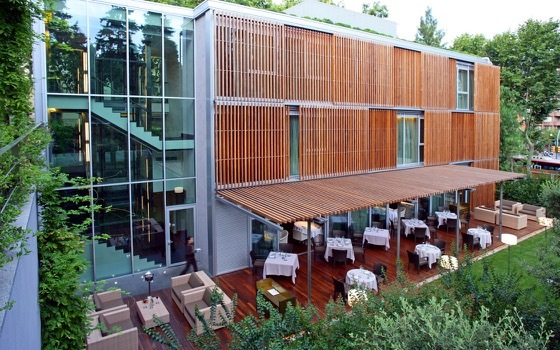 However long you spend, make sure to enjoy the hotel’s three restaurants, its wine cellar and winery on the grounds. Chef Marc Segarra is responsible for all three dining spaces and his ‘Refectorio’ meaning Refectory, is the jewel in the crown. 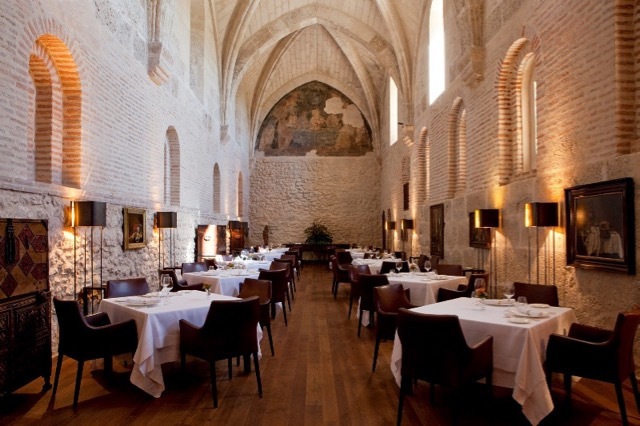 Its stunning vaulted ceilings set the atmosphere and tone for the restaurant’s tasting menus that cost 140-160 EUR plus an additional 75 EUR for wines. Tours can be taken of the estate and vineyards in a four-wheel drive and winery tours and wine tastings are also available on site. For another take on this special location, check out this blogger review by Rosana McPhee. This 19th century former ‘palacio’ is now a stylish 44-room hotel in the very fashionable district of Barrio Salamanca in Madrid. Diners can enjoy the skills of Catalan chef Ramón Freixa over breakfast and of course, at the two-Michelin star dining experience. Review the ‘a la carte’ menu and the Experience (20 dish) and Gran FRX (25 dish) tasting menus here which are 150/180 EUR per person with an addition 60/85 EUR for wine pairings. For lunch from Tuesdays to Fridays, you can choose the shorter 9-dish tasting menu for 53 EUR including cava and coffee and retire to the private garden afterwards or retire to your suite for a well-earned nap. Additional services include valet-parking on site, library, meeting rooms, fitness centre and massage room. Want to read more? Check out what foodie blogger Jen Che thought of the experience. Nineteenth century charm pervades this 27-room hotel that is part of the Relaix & Chateaux network and just 1 hour 45 mins from Madrid Airport. Chef José Carlos Fuentes was awarded one Michelin star for Tierra – which translates as ‘land’ – and as you’d expect, his kitchen draws heavily from the hotel’s own vegetable patch. Explore the 600-hectare estate or take a dip in the pool, take a bike ride, go horseback riding or head away for a few hours in a horse-driven carriage with a picnic included. Animal enthusiasts can take a safari to look for partridges, rabbit, fallow deer and stag. The hotel also offers wine tastings and cooking lessons to its guests. Chef Roberto Terradillos’ tasting menus in Tierra Restaurant cost 105/135 EUR with ‘a la carte’ offerings from 86/119 EUR. Located in the centre of Ezcaray opposite the Santa María Church, this family-run hotel has 27 rooms plus an attractive garden and outdoor terrace – and those two Michelin stars. Francis Paniego secured the second star in 2013 and heads up the restaurant serving a wide range of cuisine, including both traditional and modern dishes. His two tasting menus entitled ‘Land’ and ‘Entrails’ costs 150/125 EUR with each consisting of more than 22 different elements. You also have two other dining spaces – Echaurren Tradition which offers a tasting menu and ‘a la carte’ menu and ‘El Cuartito’ with a more rustic or traditional slant. And perfect at the end of a day out exploring the Oja Valley by bike, on foot or car, you have the Tapas Gastrobar. 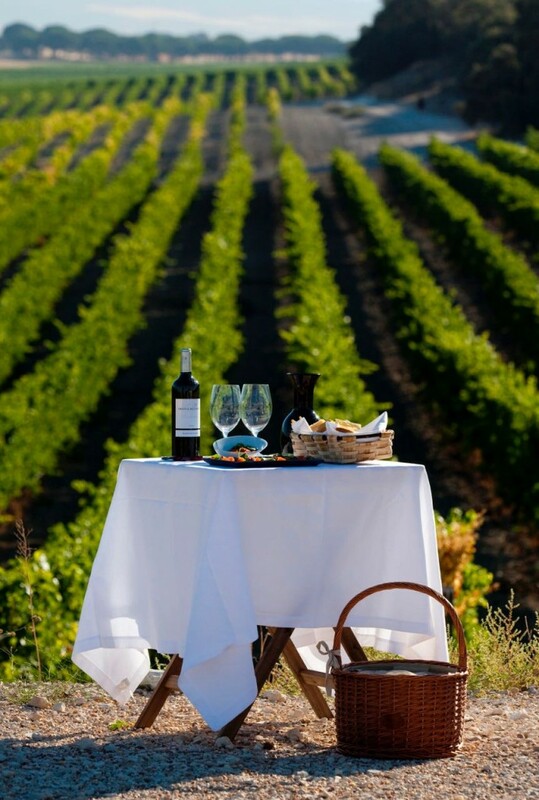 You’ll want to spend a few days here to embark on a few winery visits and wine tastings – this is La Rioja, after all! Read this review by food writer Marti Buckley for the Telegraph newspaper. Chef Carme Ruscalleda has earned two Michelin stars for Moments but she also has two Michelin stars for her restaurant in Toyko and three more for her restaurant in Sant Pau, half an hour from the city of Barcelona. Her son Raul Balam is at the helm of Moments. The Moments tasting menu called ‘Ecosystems’ is priced at 176 EUR with wine pairings an extra 94 EUR. There is also a full ‘a la carte’ menu for 130 EUR. 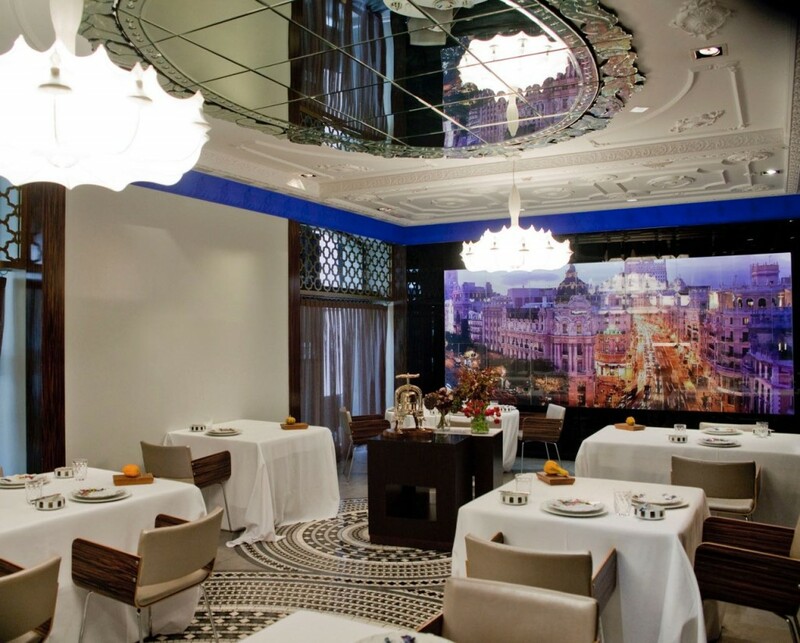 For a more informal dining experience while you stay at the Mandarin Oriental, you can dine at ‘Blanc’ also under Carme Ruscalleda’s management. Read the restaurant review by food critic Steve Tallantyre who has also reviewed Moments sister restaurant in the hotel, Blanc. Fans of architecture will already have this hotel on their wish-list and the Gehry design is everything you want and more. An hour from the maestro’s epic Guggenheim in Bilbao, this hotel almost eclipses the wonderful and historic winery on the same site. The Michelin-star restaurant is headed by chef Juan Bautista Penas (with instruction from Chef Francis Paniego of Echaurren fame – see above!) who offers a 14 and 21 dish tasting menu for 110/140 EUR. You’ll find the wonderful Marques de Riscal wines flowing here and at the three other dining spaces in the hotel also. Make sure to leave time to visit a few of the other wineries in the neighbourhood and the wonderful walled town of Laguardia. You can also read this review by Marti Buckley for the Telegraph. 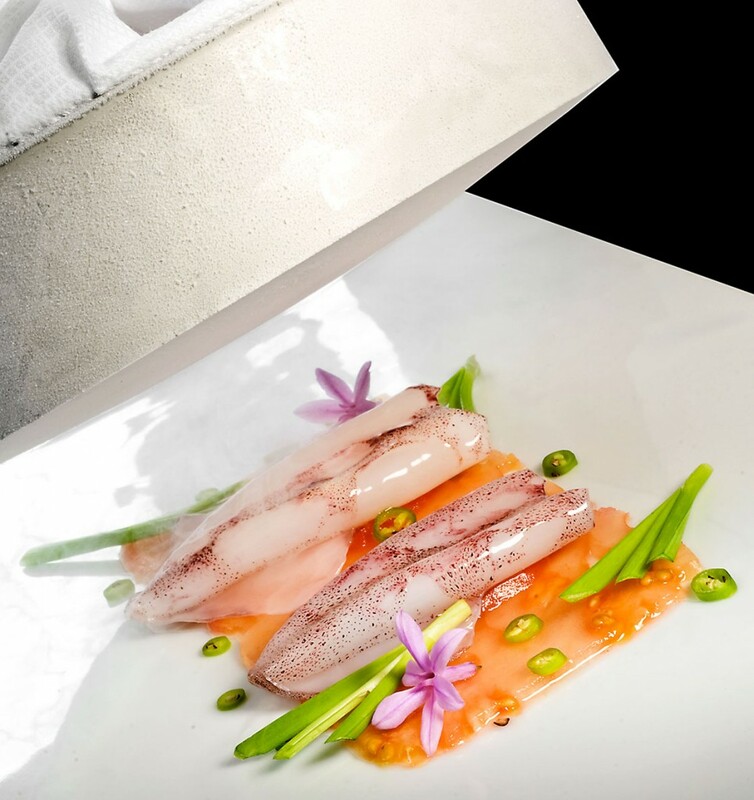 In addition to this two Michelin-starred restaurant in Barceloneta, chef Paco Pérez has been awarded two Michelin stars for Miramar restaurant in his hometown of Llança, and one star for his restaurant in Berlin called 5-Cinco by Paco Pérez. The Hotel Arts is dazzling, the views are amazing and Enoteca offers a take on Catalan & Mediterranean cuisine that is as refreshing and modern as the space itself. The 18-dish tasting menu costs 175 EUR plus 95 EUR for wine pairings – and a 6-course group tasting menu for 130 EUR plus 70 EUR for wine pairing. Inside the hotel, that are an additional five dining spaces that can cater for more informal dining occasions. Need more info? Read the review by food critic Steve Tallantyre. If you’ve enjoyed our tips on Michelin Star Hotel Dining in Spain, you might want to read our guide to the 12 Most Impressive Paradores in Spain and the Best Hotels with Views in Spain. Posted in Accommodation, Food & Drink, The Travel Industry, Useful Information and tagged ABaC, Akelare, Atrio, Carme Ruscalleda, El Portal de Echaurren, Enoteca, Francis Paniego, Frank Gehry, Hotel Abadia Retuerta LeDomaine, Hotel Arts Barcelona, Hotel Único, Jordi Cruz, Juan Bautista Penas, Mandarin Oriental, Marc Segarra, Marques de Riscal, Moments, Paco Pérez, Pedro Subijana, Ramón Freixa, Raul Balam, Roberto Terradillos, Toño Pérez, Valdepalacios Hotel Gourmand.